Kingston – Spring Barn Farm: Just after my last report back a planning appeal was submitted in relation to the development at Spring Barn Farm. It seems that the planning Inspectorate want to deal with this appeal quickly and public submissions were required by 17 July, only allowing just over a month for the public to consider the matter and to submit their views. It seems that planning appeals are not very well publicised by either the council or the National Park so I wrote to the councillors in both Kingston Parish and Lewes to advise them of the planning appeal. I also wrote to the residents in Kingston who would be most affected by the development. A number of these residents have written in opposing the development. One resident wrote back to me saying that he was in favour of the development. I have written to the Inspector opposing the development as I did before when the planning application was processed back in April. Piddinghoe – Two barns at Court Farm: have been given permission under officer delegate powers. It appears these barns are of a size that required planning permission but in any event it would be difficult to refuse them. The key issue here is the access onto the C7 Road. There is an existing access but obviously the barns will bring new traffic onto the road at a very fast and busy stretch. Certainly in one direction there are very poor sightlines. For other updates on other planning issues: Click here. Now, turning to a more positive note, we have had some successes in the valley. On these and and across the whole ward I am working closely with your county councillor, Carla Butler. Broadband in Rodmell: Finally funding has been approved to bring high-speed broadband to Rodmell. The campaigners in Rodmell deserve a very hearty thank-you for their work over the last five years. Kingston to Lewes Cycle Path (Cockshut Lane): At last, the planning decision on the Cockshut Lane planning application has been released. Before I was a councillor, I and many others campaigned for this application to be turned down. It was to allow commercial traffic along what is effectively a footway, cycleway and bridleway. I have continued my campaign as a councillor and have had meetings and discussions with officers at the LDC. All of this work and the work of the Kingston Road Residents Association have borne fruit. Now all we need to do is get the gates re-erected and press the authorities for the formal designation of the route as a bridleway. Traffic Survey in Rodmell: My colleague Carla Butler has had a success in persuading the County Council to carry out another traffic survey in Rodmell. A small step in the direction of trying to build a case for making the C7 a safer route for all. C7 Road Safety: Carla Butler, as our county councillor, arranged a very successful meeting recently with the East Sussex County Council transport director and his staff to discuss a way forward for improving the situation in the future along the C7 Road. More on this later in this newsletter. Egrets Way: Carla and I, at the May Piddinghoe Parish Council meeting, suggested that a joint working group be set up between the Parish Council and the Egrets Way group (OVCN). Carla and I attended the July meeting of the Parish Council when there was another debate about the Egrets Way. At this meeting Carla secured an agreement with the Parish Council to hold a joint working group meeting/s with a number of interested parties including ESCC. The meeting will be arranged by ESCC. A planning application for an additional storage unit at the airfield in Iford has been submitted. To help me understand the context and background to the application Kenneth Harmer, the chair of Iford Parish Meeting took me on a tour of part of Iford. We had a most enjoyable morning walking round the parish including the grass airfield. We only managed to cover part of Iford and I’m now looking forward to a tour around the other half of the village. The application number is: SDNP/15/02437/FUL. details are via the SDNPA Planning web site. Fortnightly, opt-in, green waste collection. 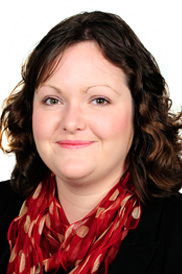 At the meeting of the full Council on 16th July my colleague and Lib Dem Group Leader, Sarah Osborne, proposed that the meeting times of the full Council meetings be moved from the afternoon to the evening. The motion was carried by 17 votes to 16. As a result from next July meetings will start at 6pm. The rationale behind this change was primarily twofold: (a) to make it easier for working people to become councillors and (b) to make it easier for the public to attend council meetings. The public can ask questions at the full Council and submit petitions and see democracy in action! The great news is that enough members supported the Lib Dem motion and the lower limit was agreed for parishes. This now means that smaller villages can get their voice heard without an impossible petition numbers target! At the Council meeting on the 16th a member of the public asked a question which elicited a very useful answer from the lead member for planning, Councillor Tom Jones. 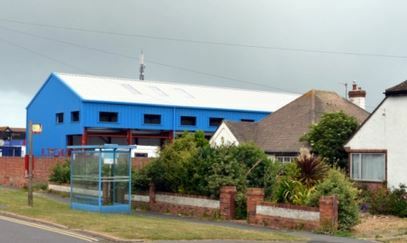 The member of the public asked a question relating to the issuing of planning permission for a large commercial building in Telscombe which had ended up being painted completely blue so that it stood out like a sore thumb from the houses around. The issue arises out of the fact that the Council only notify immediate neighbours but not the broader community about an upcoming planning application. Councillor Tom Jones answered the question by saying officers will be instructed in the future to carry out wider consultation where a development can be seen over a wide area. Let’s hope this gets implemented! If this had happened 2½ years ago when the original application was put in on Spring Barn Farm we probably wouldn’t be in the position were in now. 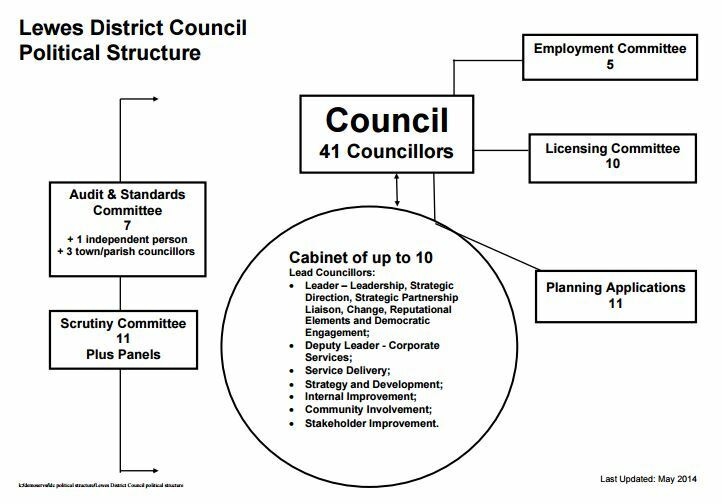 Like most local authorities, Lewes District Council is run on a ‘cabinet’ system of management. This was introduced in the year 2000. Before that, management of the Council was simply by the appropriate committee. Since 2000 much of the power of decision-making is vested in the central Cabinet which is usually controlled by the majority party. In Lewes’s case the Cabinet is run by the Conservatives. Since 2012, principal authorities have been allowed to return to the “Committee system”. I am not happy with the Cabinet system and it’s interesting to note that at least one member of the Conservative party is also not happy with the system. Councillor Sharon Davy asked a question on this subject at the Council meeting at the July meeting. I wonder what the Conservative leader will do? I doubt if there will be any change but I would prefer to go back to a more democratic committee system. NPPF (National Planning Policy Framework) – this is the Government’s policy document which local planning authorities have to comply with. Also, planning appeal inspectors use this policy document as basis in dealing with appeals. 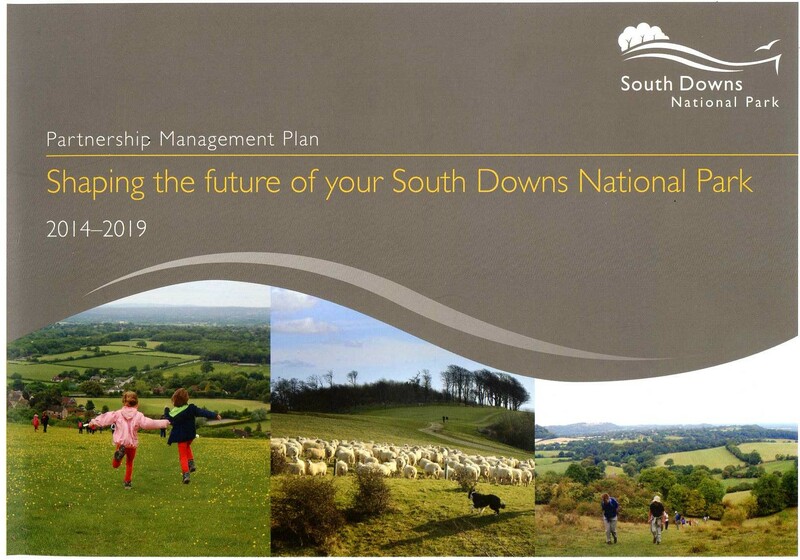 The South Downs National Park has already prepared and published a Management Plan. This doesn’t have the same legal status as the Local Plan but it is very useful in understanding how officials and planning officers will approach planning issues. Click here for a link to the plan. District Local Plan – District councils are responsible for producing a plan for their own areas. Before I became a member of the Lewes District Council they had largely completed the preparation of the Local Plan for the whole of the District which is covered by the Council. It also covers the part of the District that is within the National Park. Currently, there are a few steps yet to go before the Lewes Plan is complete. On 16 July 2015, the District Council approved the amended local plan – The Joint Core Strategy (Local Plan Part 1) thus allowing it to go forward to complete its final stages (still being subject to public examination and the planning inspector’s recommendations) which hopefully will be completed this year. This new Local Plan will replace the 2007 version. Why is it called ‘joint core strategy’? This is because we now have a National Park and something over 50% of the area of the Lewes District Council area is covered by the National Park. Therefore any local plan has to be drawn up with the agreement and in consultation with the National Park. 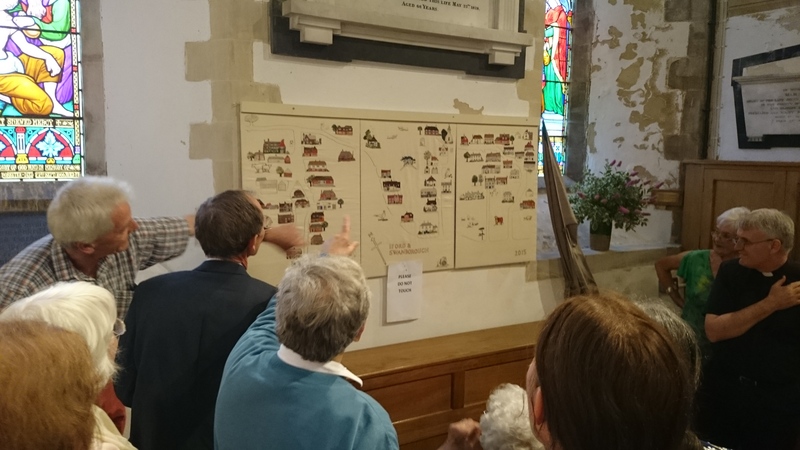 Neighbourhood Plans – There is one further ‘local plan’ which one could have and it is called a ‘neighbourhood plan’ and it can be produced by a town, parish or for an area. Unlike the other plans there is no statutory requirement to have one. To date none of the villages have decided to develop one. Some years ago the government refocused local plans to give them specific responsibility for allocating land for housing. The Joint Core Strategy (Local Plan Part 1) local plan provided for just under 6,000 additional homes in the period from 2015 until 2030. The government’s planning inspector increased the figure for new homes to 6,900 in the Lewes District and in some cases specifically allocated land where housing should be provided. To me this seems a bit dictatorial and rather obviates the reason why we have a local council. Still, that’s the law and we have to deal with it. Lewes District is quite lucky that it didn’t have a higher allocation and that’s because a large part of the District is in the National Park. There are no major housing allocations in my ward. You may have read quite a bit about this subject in the newspapers. It’s a programme for utilising District Council-owned land for housing. None of the areas are in my ward and indeed the number of sites has been reduced to about 30, some of which are very contentious. I think we shall continue to read about these ‘sites’ in the newspapers for quite some time. Things are not going well for the District Council and the Lib Dem Deputy Leader, Cllr Steve Saunders, pointed to some of the problems in his recent letter to the Sussex Express – >> click here to read it. The Chair of the Council, Cllr Ruth O’Keeffe, is now circulating a petition regarding the 49 sites calling for it to be stopped effectively. Ruth’s audacity is amazing – she had the chance to stop this deal and special expenses by supporting either of the two Lib Dem challenges for the Leadership some time ago but she did not. Sarah Osborne commented “we would not have done this deal this way but Ruth chose to keep the Tories/UKIP in power” (in the previous administration). It is possible for a business to apply for business rates relief. In recent months one business in my Ward has been awarded this relief. New developments on brownfield land. To more secure arrangements within the District. Delivering the Council’s Regeneration Strategy priorities. Supporting the published Strategies for Towns and Rural areas within the District. If anybody from my area has a particular concern regarding any of these portfolios please let me know and I will lobby the lead member concerned. For my part I am a member of two committees, – the Scrutiny Committee and the Planning Committee. The planning committee, as you might guess, deals with planning applications but right now I’d like to give you some information on the Scrutiny Committee. Unlike the Cabinet this committee has members on it in rough proportion to the councillors from each political party. The Scrutiny Committee not only scrutinise what the District Council is doing and what the Cabinet is proposing to do (though there are only a few days in which the Scrutiny Committee can ‘call in’ a Cabinet decision) but it can also scrutinise the actions of outside bodies (with the exception of the Health Authority). For instance, if there were concerns as to what the Environment Agency were doing one could ask a representative of that body either to answer questions or attend the committee meeting. The key thing to remember is that the Scrutiny Committee does not have decision-making powers but it can act as a ‘brake’ on the decisions of the Cabinet. The Scrutiny Committee can also set up special panels to investigate things from time to time. These panels can include co-opted members from outside bodies. There is no protocol for the public to speak at Scrutiny Committee meetings, which seems a bit strange to me, though the meetings are not confidential. Parishes struggle with ever-decreasing commitment and funds which the County Council have for dealing with potholes, hedges and verges. In our area we are lucky that we have a Highways Steward with whom the parishes can liaise. In our area many of the issues are taken up by the parish council but if either a member of the public or the parish council needs support from Carla or myself please let us know. Probably the biggest issue facing the residents of the area comes under the heading of ‘planning’, with a number of major planning applications and planning appeals currently underway. Because of this my website has a dedicated menu item under the title Planning Issues. <<Click here to go to that page. Other key issues are on my Key Issues page <<Click here to go to that page. Many of you may already know that the South Downs and the Ouse Valley area where our villages sit are part of The Brighton & Lewes Downs Biosphere which was ‘inscribed’ by UNESCO in 2014 as the first completely new site in the UK since the 1970s, the first ever such site in SE England and one of only a small number worldwide to include a major urban area. Click here for more information from UNESCO. Click here for the link to the local site This website also gives you visitor information and information about activities. 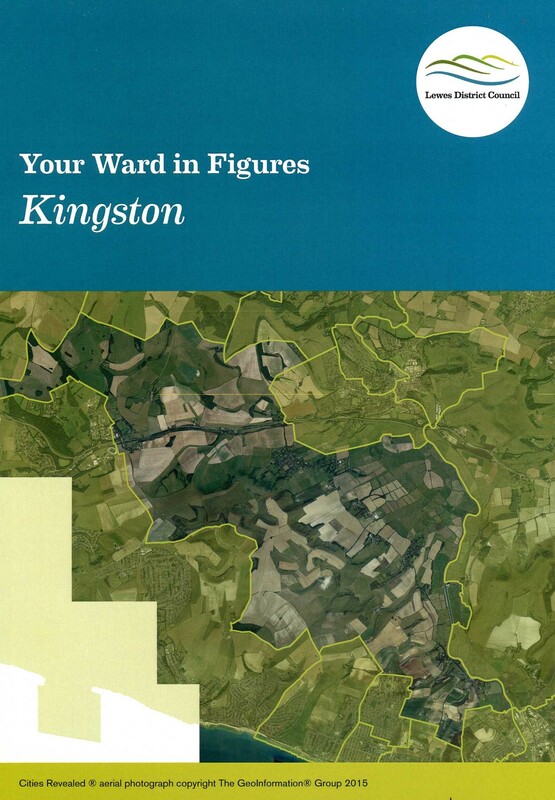 The Council have kindly provided me with a booklet with facts and figures about the Kingston Ward. It reveals some interesting facts. Whilst the population (based upon the 2011 Census) is only just over 2,000 people against the population of the whole Lewes District of just over 97,500. The area covered by the Ward is probably the second largest in the District at over 4,700 hectares (over 11,600 acres). 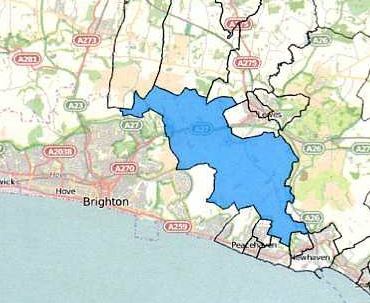 By my reckoning that means the Ward is almost the same size and geographical area as the city of Brighton and Hove! Please let me know if you want a copy and I’ll email it to you. Kingston Ward consists of: Falmer, St Ann Without, Kingston, Swanborough, Iford, Northease, Rodmell, Southease and Piddinghoe. A very comprehensive report Vic , thank you ! Could you please let me know which “Cabinet” of LDC is concerned with public transport. Thank you.